BrooklynVegan is pleased to unveil the video accompaniment to “Beast Filth” from avant-garde/death industrial duo TO END IT ALL. The clip, created by Osteo Parliament, comes by way of the band’s Scourge Of Woman full-length, out now via Scry Recordings. View “Beast Filth,” courtesy Of BrooklynVegan, at THIS LOCATION. If you missed it, watch the band’s previously released video for “Lure” below. Scourge Of Woman was recorded at Stop/Start Studio in Portland, Oregon and Khaos Studio in Seattle, Washington and is available in digital and vinyl formats at THIS LOCATION. In celebration of the release of Scourge Of Woman, TO END IT ALL have confirmed two release shows in Portland and Seattle respectively later this month with additional live trauma in the plotting stages. 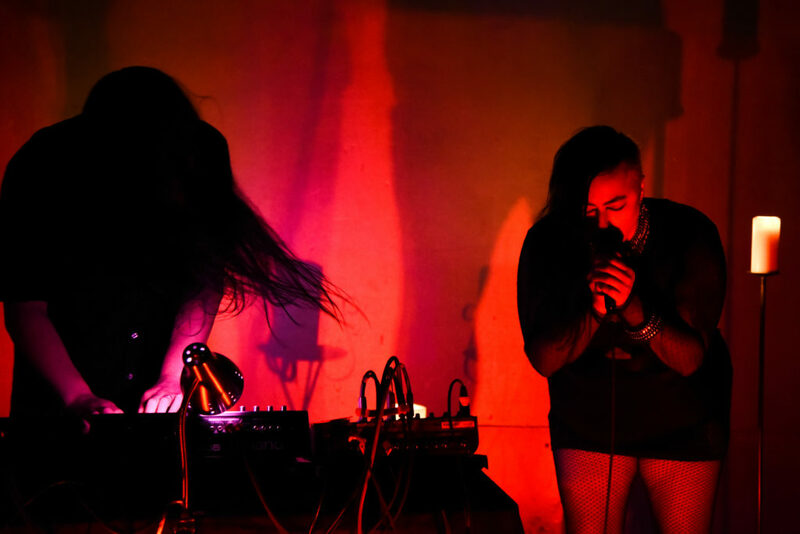 Formed in the autumn of 2016, long-time collaborators — noise artist Masaaki Masao and vocalist Joy Von Spain — began to create new work as TO END IT ALL, forging songs from rhythmic harsh noise, experimental music, instrument sampling, and voice. 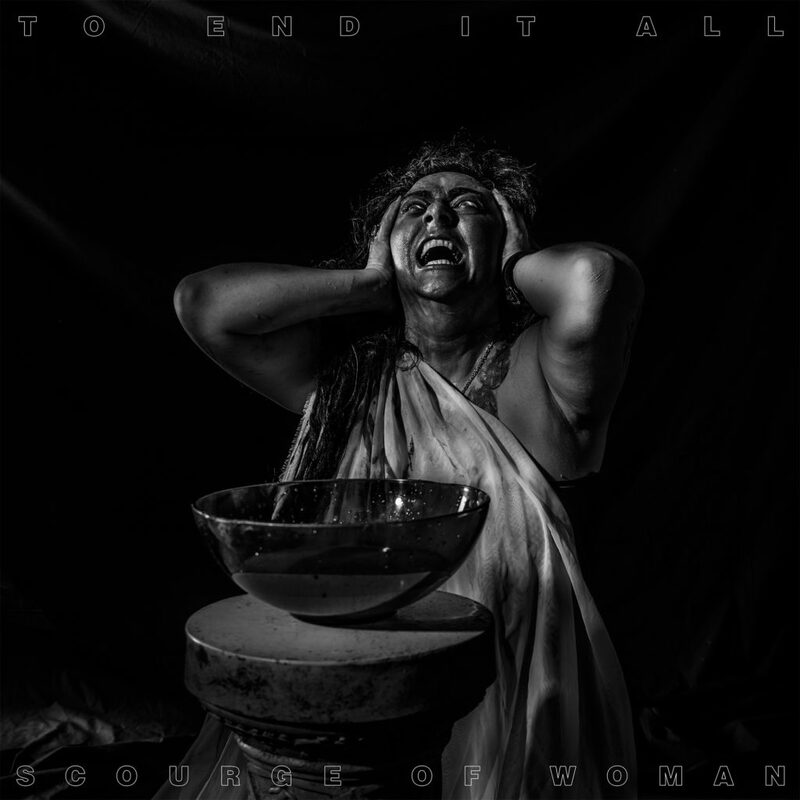 Scourge Of Woman draws inspiration from death industrial and black noise acts like Pig Heart Transplant, Blue Sabbath Black Cheer, Sutekh Hexen, Throbbing Gristle, as well as artists like Onielar, Diamanda Galas, and Cosey Fanni Tutti. The album features the artwork of Seattle by-way-of Bay Area visual artist Anima Nocturna (Carlos Melgoza) in collaboration with Joy Von Spain.